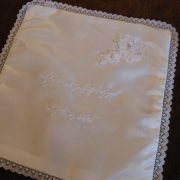 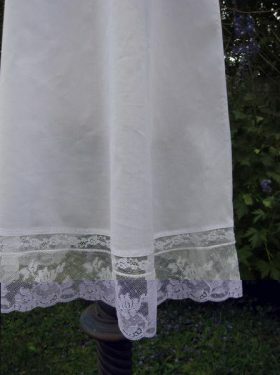 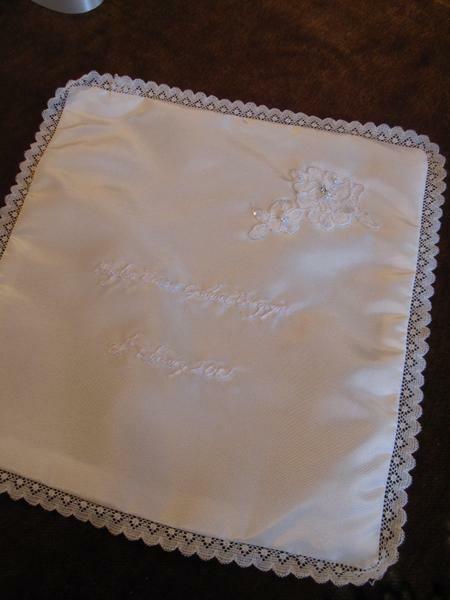 Beautiful silk dupion handkerchief hand embroidered in ivory silk thread with the name of the child and the date of the baptism. 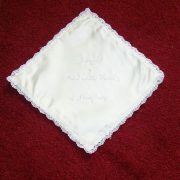 A little dove is also embroidered onto the hanky to represent the love for the child and hope for its future. 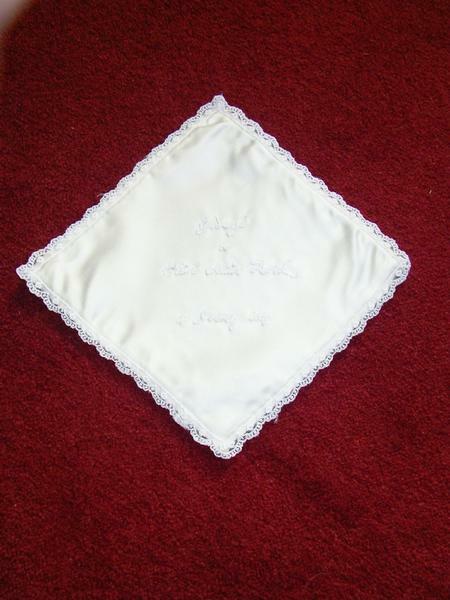 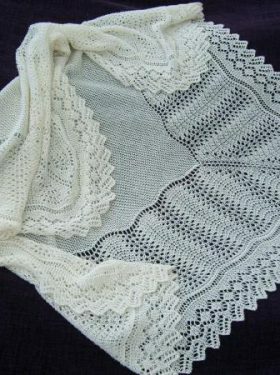 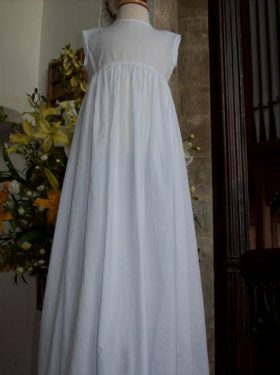 Ideal for a gift for godparents.